3D printing is not only entering the consumer space these days, but it also is finding application in the film making industry. Michael Turner, the art director behind 20th Century Fox’s The Wolverine starring Hugh Jackman, spoke about the growing role of 3D printing during the local launch of the Blu-Ray edition of the film. 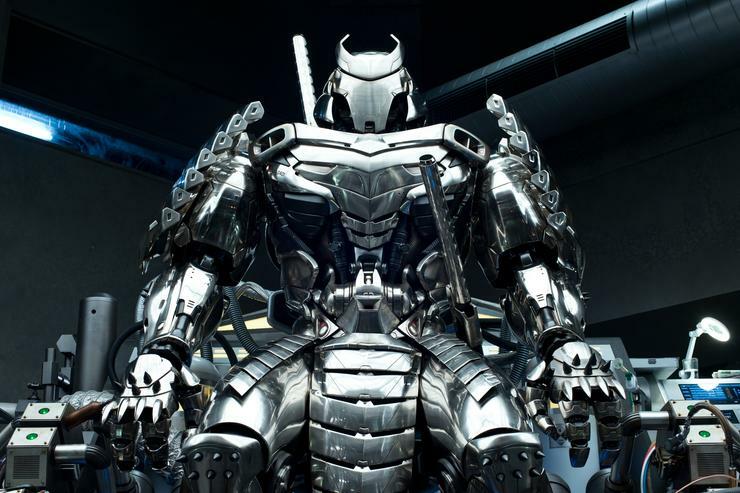 3D printing was used to create certain props in The Wolverine, such as the armour for the Silver Samurai character. “3D printing was great for that character because of the small pieces that made up the armour, and we even created swords with the printers,” Turner said. Currently working on a different film, Turner said that the design team is considering getting a 3D printer into the art department in order to build the sets as models with the printer. “With the 3D printer, we have the opportunity to create buildings quickly instead of making them out of cardboard,” he said. As for what developments with the technology Turner is currently keeping an eye on, he said he is interested in what is currently being done with organic printing. “I hope we’ll have something big enough one day where we can print a whole set,” he said. The Wolverine’s SFX assistant supervisor, Lloyd Finnemore, said his team used 3D printers and CAD because their time frame for manufacturing is typically very short. “We’re trying to do a lot of that work in-house, so we can basically do it on demand and decide which part of the work flow is more important right now instead of outsourcing something out to a shop somewhere,” he said. Finnemore admits that the film industry is an early adaptor of technologies such as 3D printing. “Anything that makes our job quicker and easier, so we can bring more things into a physical realm, and do it economically, we’re all in favour of it,” he said. Currently Finnemore has been using in-house 3D printers with plastics and wax, and he is looking forward to the prospect of using steel one day. “We’ve built our own 3D printers if we needed something bigger and faster, since it’s the only way to get things done,” he said.